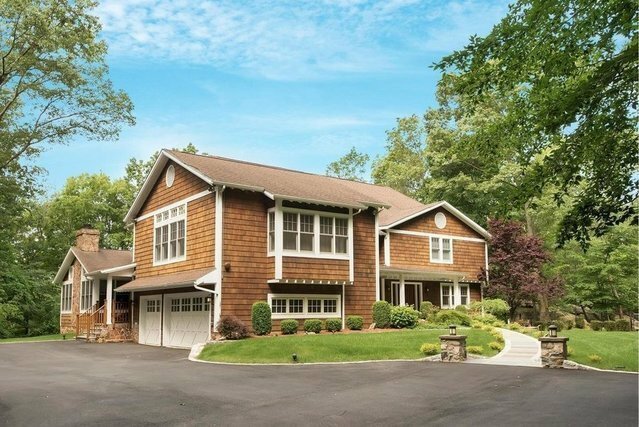 Private luxury oasis in the heart of Whippoorwill with Chappaqua schools! A gated driveway leads to 3 serene wooded acres with large fenced level yard. Inside this updated light and spacious 4 bedroom five and one half bath home you will find wonderful flow featuring a large open eat in kitchen and great room with vaulted ceilings beautiful stone fireplace and walls of windows showcasing amazing sunsets over the Whippoorwill Country Club's golf course. A large sunken living room with gas fireplace and dining room with wood burning fireplace also feature wooded golf course views. A spectacular Trex deck with the same views has a large built in hot tub with an all weather TV that rises out of the deck with the push of a remote as well as a gas fire pit for entertaining all year round. The second floor has five oversized bedrooms including a large luxurious master with vaulted ceilings gas fireplace and gorgeous views as well a huge private guest suite with en suite bathroom.